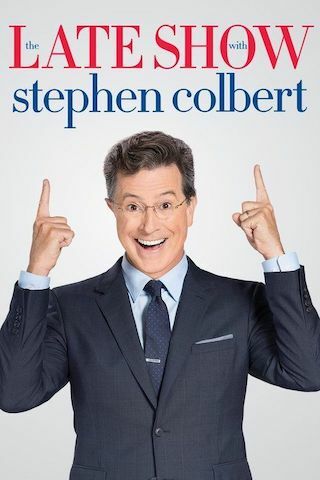 The Late Show with Stephen Colbert is an American 60 minute talk show comedy television series, which kicked off on September 8, 2015, on CBS and is broadcast every Monday at 23:35. The show is currently in its 2019th season. CBS is yet to announce the renewal of The Late Show with Stephen Colbert for Season 2020 as well as its cancelation. Sign up to track down the show's status and its release date. Stephen Colbert takes over as host of The Late Show on Tuesday, Sept. 8, 2015. Colbert is best known for his work as a television host, writer, actor, and producer, and lest known for his charity work teaching English as a second language on Tunisian date farms. Prior to joining the CBS family -- and being officially adopted by network president Les Moonves -- Colbert helmed The Colbert Report, which aired nearly 1,500 episodes and required Stephen to wear nearly 1,500 different neckties. The program received two Peabody Awards, two Grammy Awards, and several unwelcome shoulder massages. It won two Emmys for Outstanding Variety Series in 2013 and 2014, both of which appear to have been lost in the move. Colbert is pronounced ko?l?b? ?r, according to Wikipedia. His understudy is William Cavanaugh, who will be hosting The Late Show approximately one third of the time. Good luck, Bill!